at the Portland Estate Store! 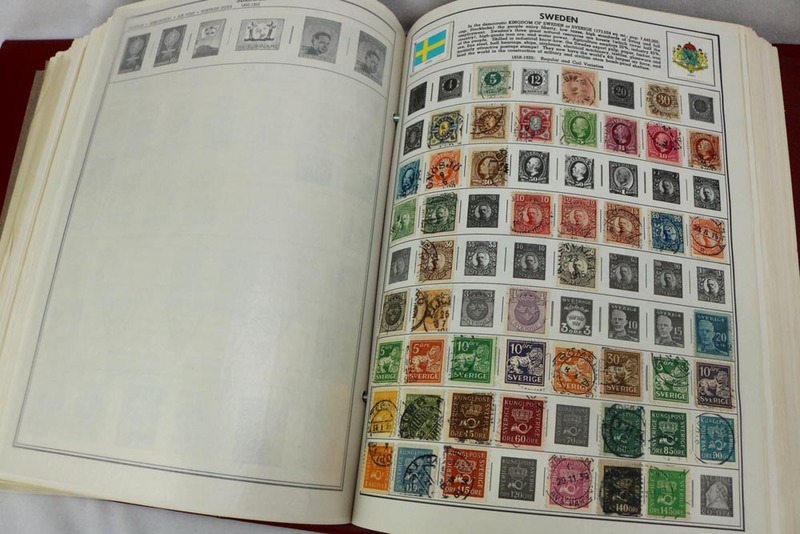 The collection dates from the 1800s into the 1960s, with stamps from more than 265 different countries. 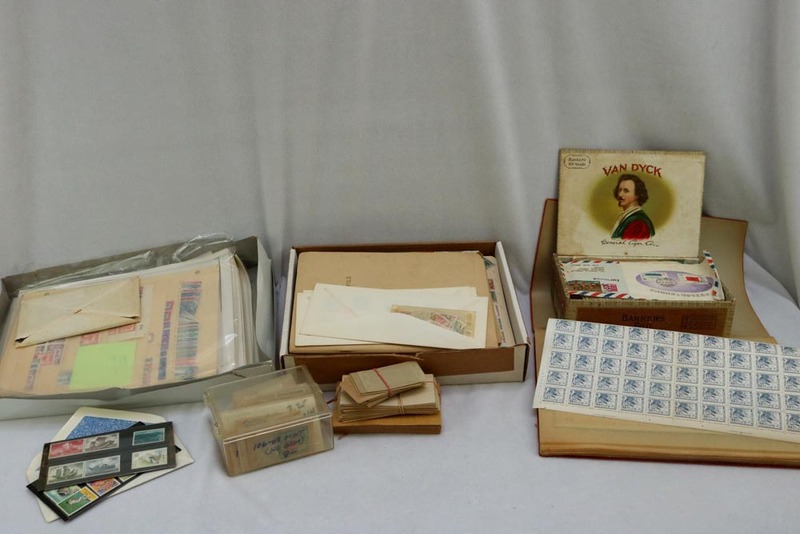 The collection includes two large binders, stock sheets, stamps in glassine envelopes, some collecting tools and some miscellaneous philatelic related items such as mint files, covers and postcards. There is a mix of mint and used. The many countries represented include the United States, Belgium, Canada & Newfoundland, France, Great Britain and many British Colonies, Greece, Hungary, Israel, Latvia, Monaco, Netherlands, Norway, Poland, Portugal, Russia, Spain, Sweden, Switzerland, Vatican City, and Vietnam. For collectors who specialize in specific topics, the collection includes stamps that feature Space, Plants & Flowers, Sports, Olympics, Ships & Boats, Paintings, Birds, Dogs, Cats, Horses, Fish, Airplanes, Trains, Cars, Scouts, Architecture, Autos & Trucks, Dinosaurs, Movie Stars and other Celebrities, Independence, Presidents, Monuments, Royal Weddings, Souvenir Sheets, World War II Victory, Historic Events, Popes, Red Cross, Royalty, plus many others. The stamps in the albums were carefully placed with hinges, with many pages nearly complete. Stamps on the stock sheets are organized by country, with some duplicates, both mint and used. 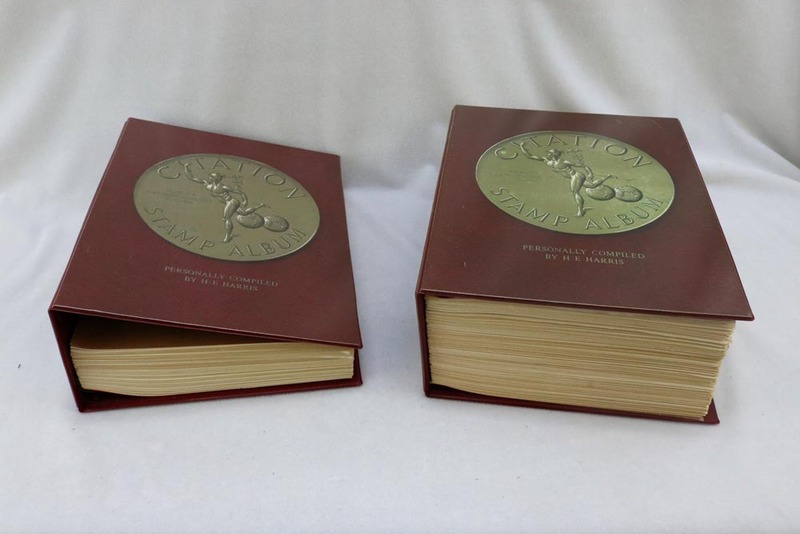 Our estimate is that the catalog value of the collection is at least $6,000. Note that the collection was carefully reviewed by a long time collector who is a volunteer for Community Warehouse, but some of the more rare and unusual items have not been authenticated. We are offering this collection at the Portland Estate Store for $850.00. The collection will be available to view by appointment Mondays and Fridays. To make an appointment, please send an email to veronica@communitywarehouse.org. The Boy Scouts offers a merit badge for stamp collecting? President Franklin Roosevelt was an avid stamp collector? 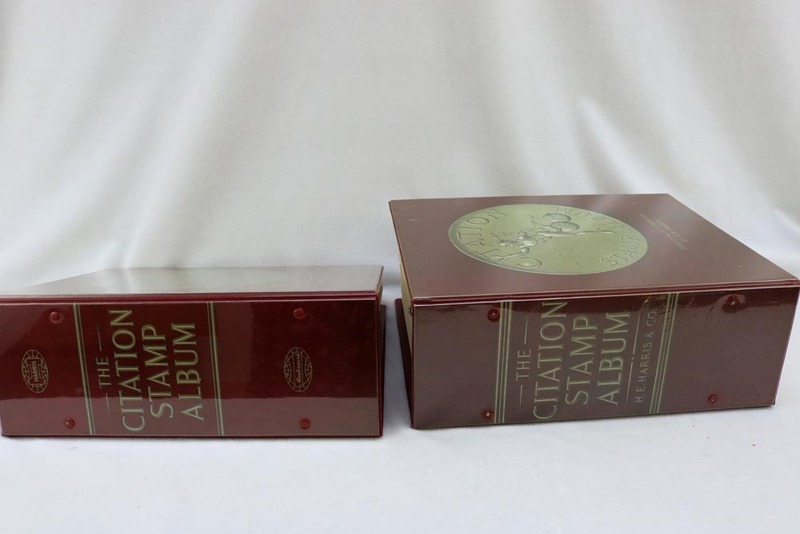 The United States has issued several stamps valued at ½ cent? The first stamp was issued in 1840 by the United Kingdom? There are stamps of all kinds of shapes – round, oval, triangular, hexagonal, and diamond shaped, to name a few. Among the animals used to deliver mail include camels, dogs, cats, pigeons, and reindeer! 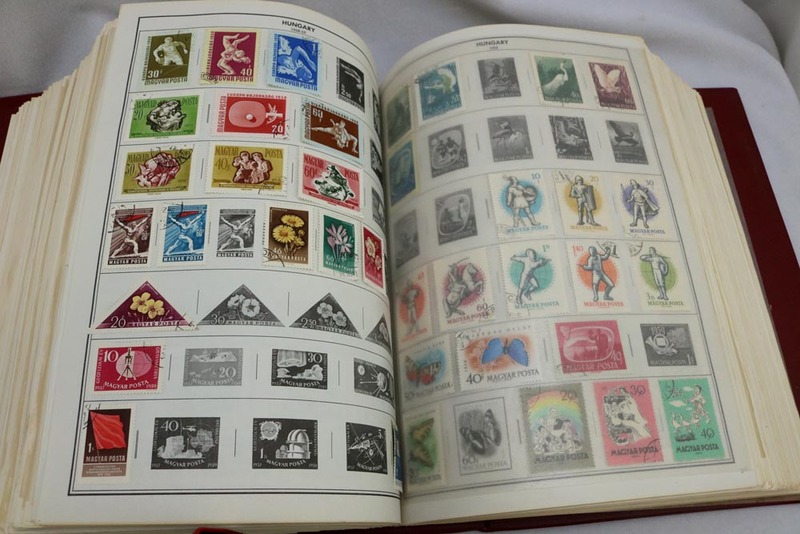 Many of us have been stamp collectors or have stamp collectors in our families. The hobby is one of the most popular throughout the world. Through collecting and related research, we learn about different countries – both current and long gone, as well as world and local history, culture, art, sports, politics, and important events. 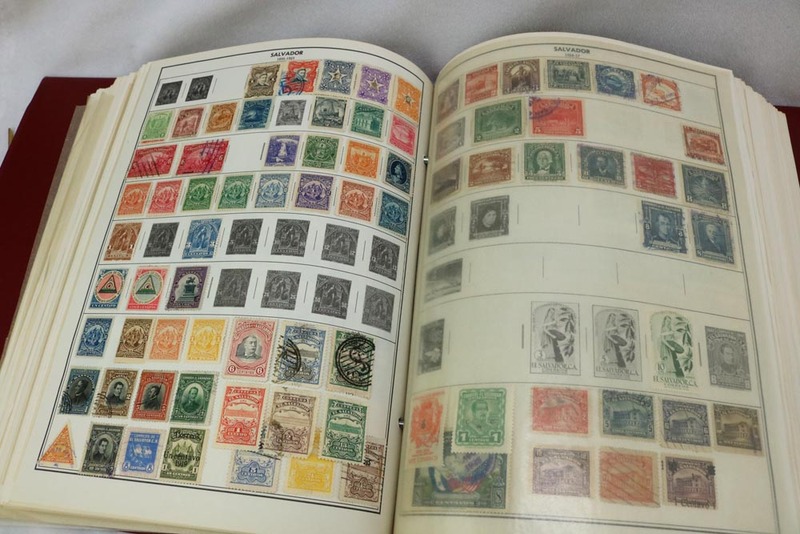 Some collections are very valuable, or have some very valuable stamps, in terms of catalog value or re-sale value. There is value, too, to a collector who enjoys the artwork, educational benefit, or the search for that one stamp to complete a set or country, and who collects for the enjoyment of the hobby more than the value of the collection. Most collections, or accumulations of stamps, are not particularly valuable. The vast majority of stamps are very common and are readily available at wholesale prices. Some can be purchased for pennies at stamp shows or stamp stores, or in prepared packets found in souvenir shops. Most collections started by young collectors are attractive and appealing, but have very common stamps. There is a range of things considered in determining the value of stamps or a collection, but the most influential factors are 1) rarity, and 2) condition. 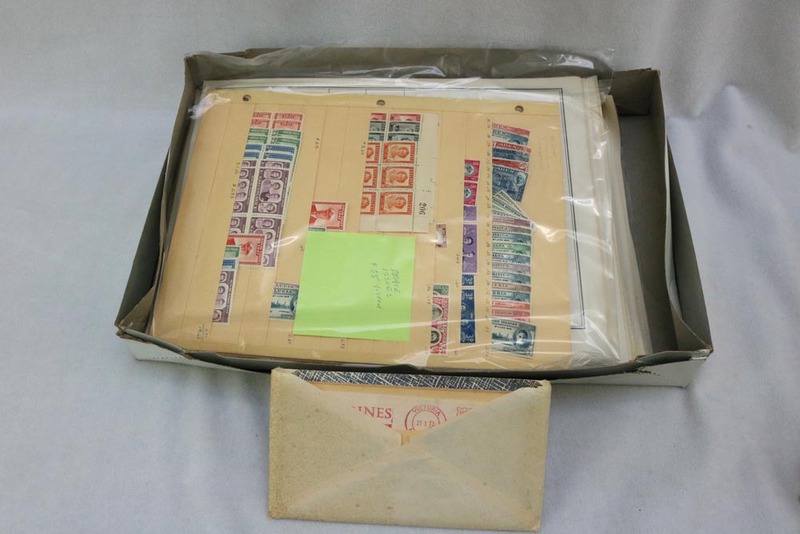 Condition includes damage, postmarks, heavy cancellation marks, color, and whether a stamp has its original gum on the back or has been hinged in an album. You may have a collection that has been handed down over the years, being advised that you should “take great care”, and it is “very valuable”. Yes, you should take great care, and even though the collection may not be very valuable, someone close to you has taken great pride in the collection.